The Academy organizes Teaching and Learning Club (TLC) sessions to connect with our Teaching and Learning community, and to fulfil our vision of providing an authentic voice on Teaching and Learning. Through reaching out to and hearing the voices of our broader NUS teaching community, the Academy can highlight matters of concern, and function as ambassadors and connectors between university management, colleagues and students. The TLC on Blended Learning was open to the Teaching Community and well-attended by diverse faculty, many of whom had done blended learning. 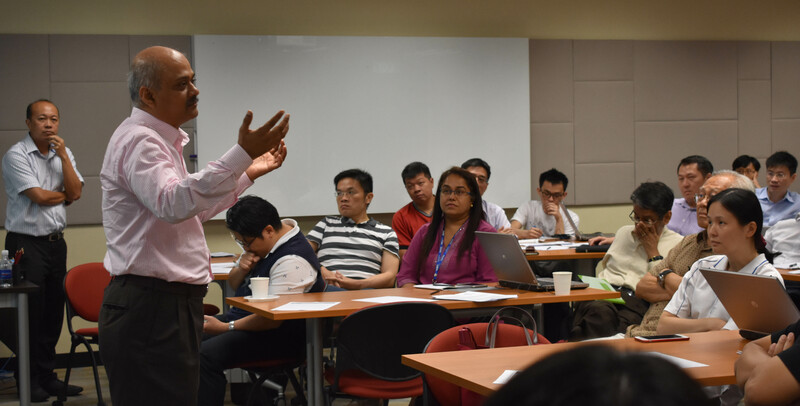 It was led by Academy Fellows, Dr Adrian Lee and Prof Seah Kar Heng, and facilitated collaboratively by Fellows who have engaged in blended learning themselves. Besides gaining a quick overview of how blended learning had been implemented by colleagues (e.g. models of blended learning, portion of course time spent online, resources used etc. ), participants discussed both the benefits and challenges of using blended learning for different disciplines and for different student types. In particular, participants shared that blended learning supported both pre-class content delivery and post-lesson follow-up additive learning activities, allowing more face-to-face class time to be used for collaborative work, on-site experiential learning of 3-D models, architecture, culture/heritage, and tutor-student interactions for direct clarification / explanations and skills development. Examples of blended learning used ranged from simple resources such as short videoclips and useful learning platforms to more resource-intensive formats such as games and VR experiences. Although not all students were initially receptive to non-traditional lesson formats, a significant proportion became more accepting after gaining more positive learning experiences through blended learning. Participants noted that before students accepted the change in pedagogy/blended learning, some initial conversation to help students think about how they do learning was needed. In addition, it was important to carefully consider the quantification vs. teaching quality of teaching hours. The course structure (integrating blended learning with face-to-face lessons/lectures) also needed to be mindful of overall workload, term times and motivation techniques such as quick quizzes or peer work. For the detailed collation of this TLC’s findings, interested faculty can request for the notes from the NUS Teaching Academy Office – cdtngcc@nus.edu.sg. The Academy will also continue to listen, so please do send feedback to us. The fully-subscribed TLC session brought together NUS teaching faculty to critically examine the contextualization of generalisations about Millennial and Generation Z youth characteristics to our student body. 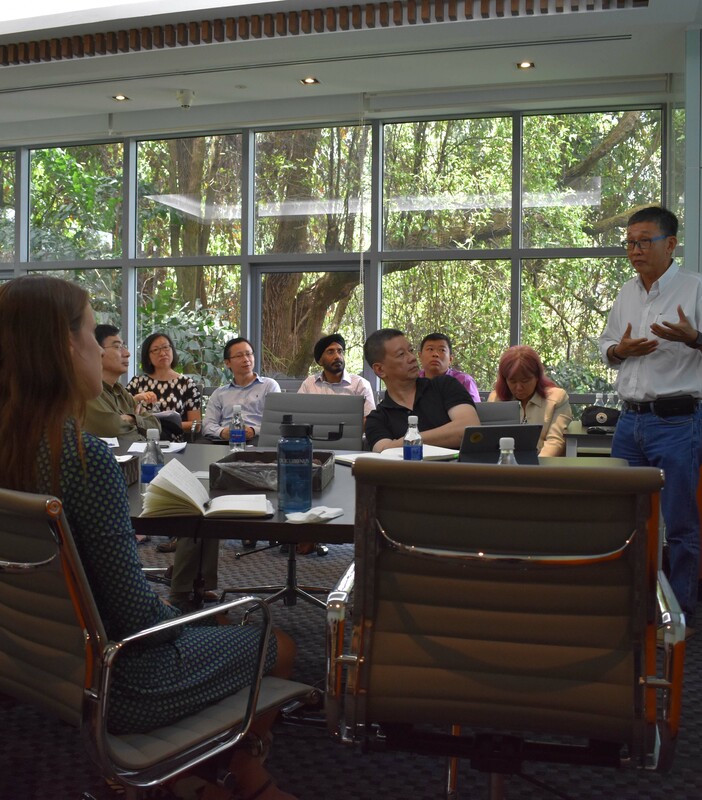 Academy Fellows, Associate Professors Ashwin Khambadkone (FoE), Ho Han Kiat (Fos), Teo Chiang Juay (FoE) and Professor Wong Nyuk Hien led the discussions. Besides articulating challenges faced, such as changes in students’ attention span, techno-literacy and multidimensional learning, participants candidly shared insightful observations about what students increasingly preferred as well as their changing reactions to teaching methods. The core values, principles and key outcomes of NUS’ educational philosophy were also considered, in addition to brain plasticity, the influence of emotions on learning and the value of some stress and intellectual discomfort. Successful teaching strategies to engage students in sustained deep learning were shared by participants from diverse disciplinary backgrounds. There was also discussion about how Millennial and Generation Z students’ needs and issues could be addressed while upholding core principles that would help with their future employment in a VUCA working world. 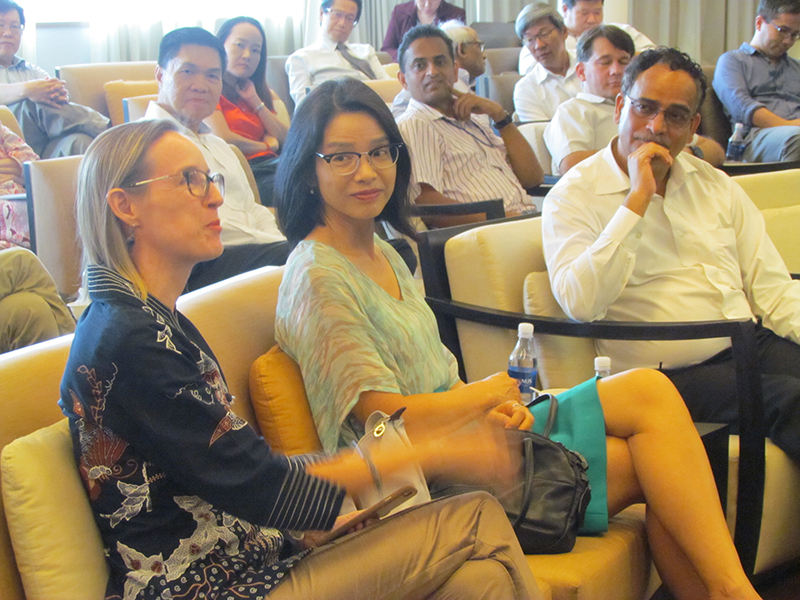 The discussions were collated into a report on possible pedagogical takeaways. 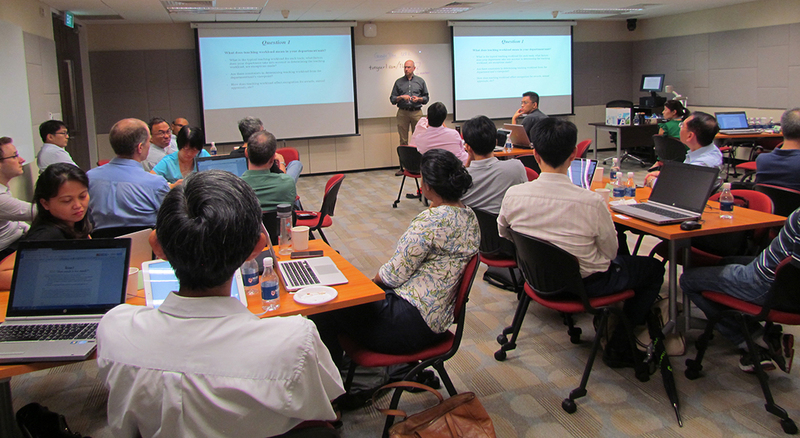 Faculty members interested in more detailed notes, please request from the Teaching Academy Office – cdtngcc@nus.edu.sg. The Roundtable on Teaching Mentorship was convened to understand the state of teaching mentorship across NUS, to identify and share issues and best practices, and to explore possible synergies. Mentorship programme leaders from diverse faculties/ schools were invited to join in the sharing and discussions, led by Academy Fellows Professor Willie Tan (Building, SDE) and Dr Soo Yuen Jien (Computer Science, SoC). Several critical concerns were discussed and the Academy received confirmation that further resources and recommendations would be welcome. The Teaching Mentorship Sub-committee (comprised of a team of Academy Fellows) was hence formed after the Roundtable and the Subcommittee members have embarked on pulling together evidence-based recommendations on Teaching Mentorship for the NUS Teaching community. Topic: How much is too much?